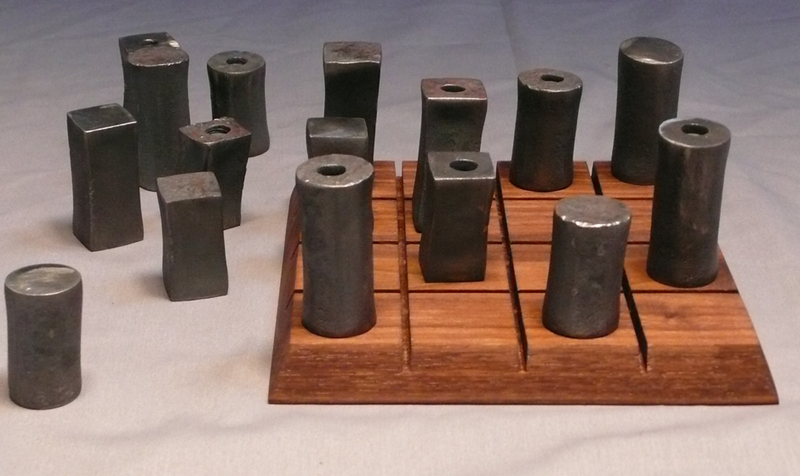 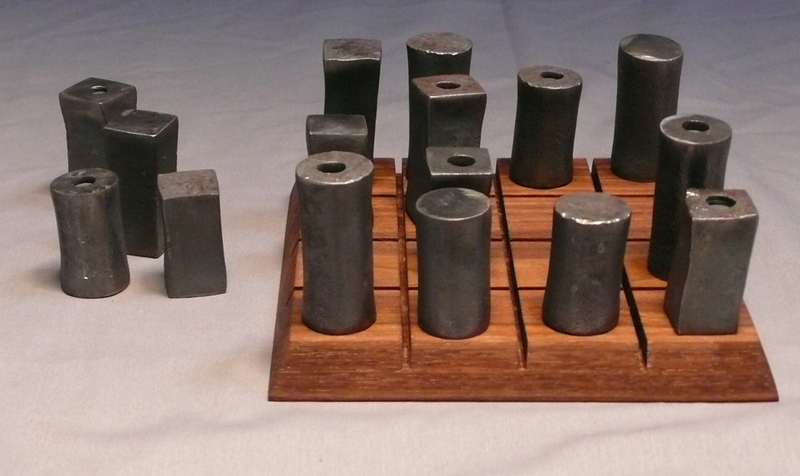 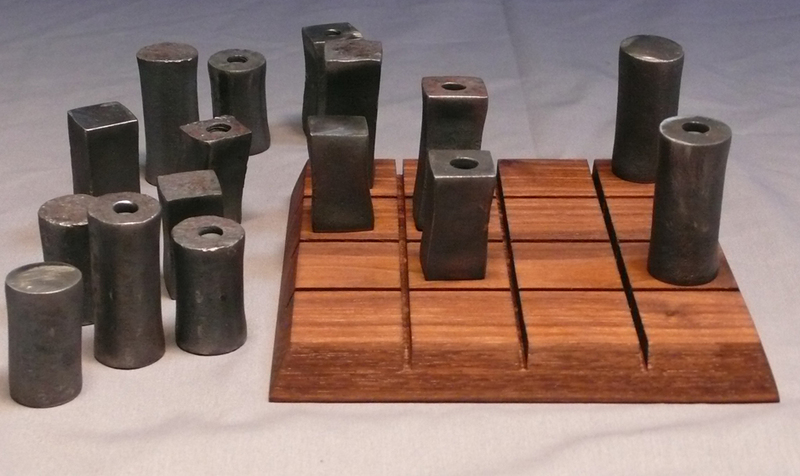 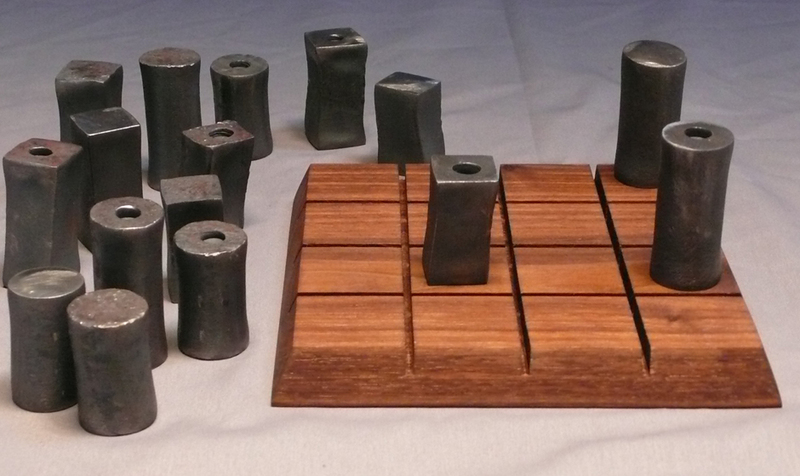 Quarto is a strategic board game invented by Blaise Muller. 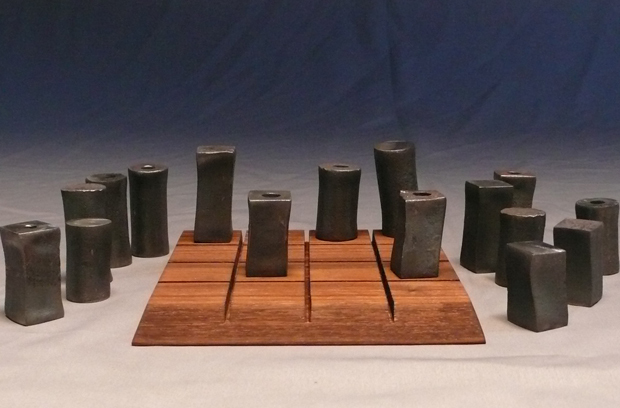 A two player game where all the pieces are shared and you hand your opponent their piece to play. 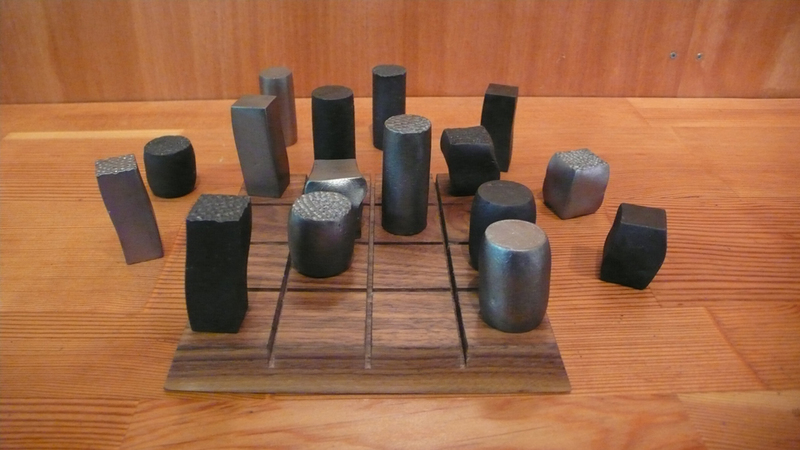 The winner makes a row of four pieces with one similar attribute: tall, short, round, square, solid, with hole, rough or smooth.